Lend your voice in support of continued solar growth in the US on National “Shout Out For Solar” Day! To help celebrate the record-breaking year that solar power had in the US in 2014, in which the solar industry installed 40% more capacity than the previous year, for a total of about 20.2 GW of installed solar capacity, and to help continue to move the needle on solar policy, a National “Shout Out For Solar” Day is taking place tomorrow, Friday January 16, 2015. Coinciding with the Solar Energy Industries Association’s (SEIA) 41st anniversary, the National “Shout Out For Solar” Day is an effort to get solar homeowners and enthusiasts alike to urge their friends, family, neighbors, and elected representatives to go solar (and to support effective solar energy policies). According to SEIA, the cost of solar has fallen by more than half since 2010, and is now expected to account for more new electricity generation capacity in the United States than any other renewable energy source. The US solar industry is also growing its employment capacity, providing almost 143,000 jobs at over 6,000 US companies, so going solar is not just good for the environment and your utility bill, but for the green economy as a whole as well. To participate, download and print one of these signs, then take a picture of yourself holding the sign. 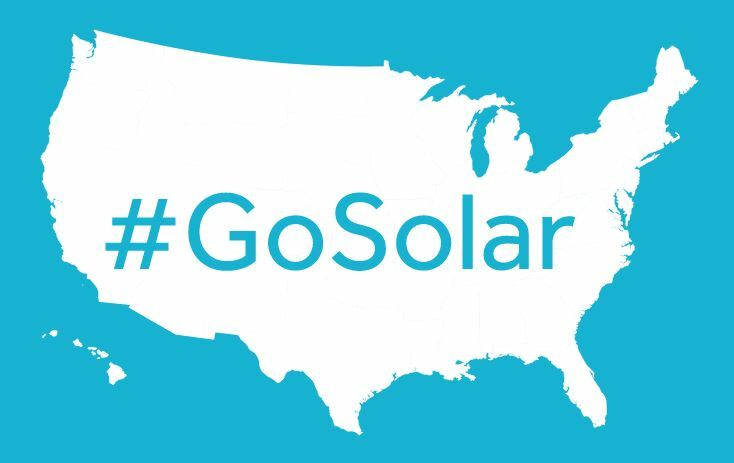 Upload your photo to Facebook, Instagram, or Twitter, using the hashtag #GoSolar, and SEIA will find and display it on their Shout Out For Solar Storify page. To find out more about how (and why) America supports solar, this site helps to shine a light on the fastest-growing source of renewable energy in the country.